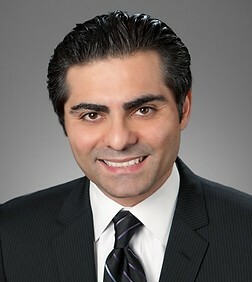 Moe Keshavarzi is a partner in the Business Trial Practice Group in the firm’s Los Angeles office. Mr. Keshavarzi counsels clients in the healthcare, retail and insurance sectors, with a particular emphasis on representing health plans and health insurers in federal and state courts. In the healthcare arena, Mr. Keshavarzi counsels and represents health plans, health insurers and related entities in consumer and unfair competition class actions, claims for bad faith denial of benefits, and general commercial disputes, among other matters. He also represents and counsels retail clients in class actions alleging claims for false advertising, unfair competition, breach of contract and antitrust violations. Mr. Keshavarzi is a Co-Chair of the Los Angeles Office Recruiting Committee and West Coast Chair of Pro Bono for the firm. He is actively involved in pro bono work and impact litigation and serves on the boards of directors of Public Counsel and Western Center for Law and Poverty. Obtained orders decertifying class and dismissing class action complaint against Knox-Keene Act health plan. Defeated class certification on behalf of national retailer in class action alleging false advertising. Secured dismissal and recovered attorney’s fees for one of California’s largest workers’ compensation insurers in action alleging violation of California antitrust laws. Obtained complete dismissal at the pleading stage of class action complaint against online retailer. Obtained complete defense verdict for national retailer after month-long jury trial in action alleging breach of contract. Obtained dismissal of action against insurer by providers involving claims related to insurers’ Medical Provider Network. Obtained complete defense verdict for oil company after bench trial in action alleging unfair competition. Obtained summary judgment for real estate firm in breach of contract action seeking specific performance. Secured dismissal of multiple complaints for several workers’ compensation insurers in several parallel actions alleging violations of California workers’ compensation statutes. Secured dismissal of class action complaint against manufacturer alleging illegal recording of telephone calls in violation of California Penal Code Section 632 and 632.7. Secured summary judgment in favor of oil company alleging negligence. Secured dismissal of federal class action complaint for financial services client involving allegations of unfair competition and fraud. Secured dismissal of federal class action complaint for online retailer involving alleged violations of California Penal Code 632.7. Representation of several insurance companies in the largest class action filed in California’s Workers’ Compensation Appeals Board. Representation of online advertising company in lawsuit alleging violations of the CAN-SPAM Act. Representation of insurer in action by several providers who were not admitted into insurer’s Medical Provider Network. Advice and counselling to several insurers in connection with creation and modification of Medical Provider Networks.